PraxiPower – Do it once. Do it live. Do it Praxi. Do it live. Do it once. Do it PRAXI. The most comprehensive school management solution available today at one low, all-inclusive price. That’s when PraxiPower was born.  ‘Praxi’ is derived from the Greek word for “practical.” Our name serves as a reminder to both ourselves and our customers that we set out to make a practical school management software system. Our founders all have backgrounds in both education and computer programming. As our vision expanded, we realized that the school management software space was crowded, and we have endeavored to set ourselves apart, not only with our program, but also through our: (1) affordability and (2) excellent service. In 2007, we moved to a cloud-based model. Since our inception we have made it our mission to incorporate every good idea that we have received over the years from administrators, teachers, school accountants and other staff. Every day we talk with people using other software systems who are frustrated by the amount of time, clicks, and steps it takes to get something done. Our aim is to be the solution to those frustrations in order to make your life easier. We believe strongly in serving our clients. In fact, we exist to make a difference in the lives of the people we serve so they can be freed up to spend more time and energy doing what they do best: making a difference in the lives of their students. —Lizette Ramos | Youth N.O.W.